PangeaSeed is pleased to announce the latest print of the ongoing Sea of Change: The Year of Living Dangerously – Vol. 2 print suite by guest artist Jeff Soto (USA). The highlighted species of this edition is the endangered Goliath Grouper (Epinephelus Lanceolatus). 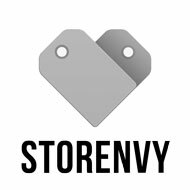 More info and images after the jump! 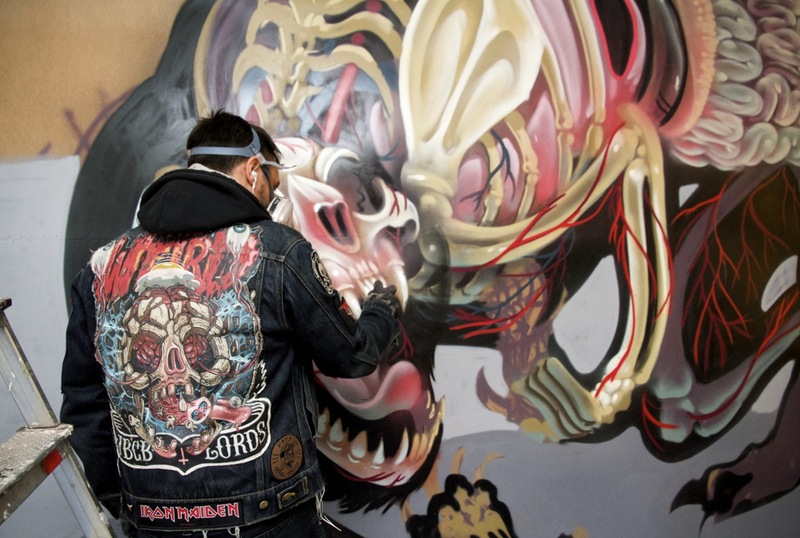 Jeff Soto recently made his way out to Taiwan for the second leg of the Pow! Wow! festival. 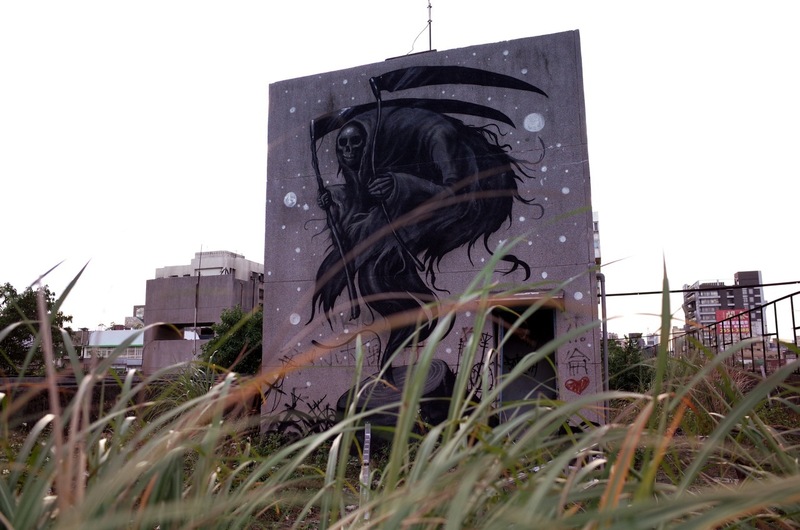 As per usual, the American artist brilliantly renders the Grim Reaper, which is juxtaposed with a non primed background showing off the textured and original elements of the wall. 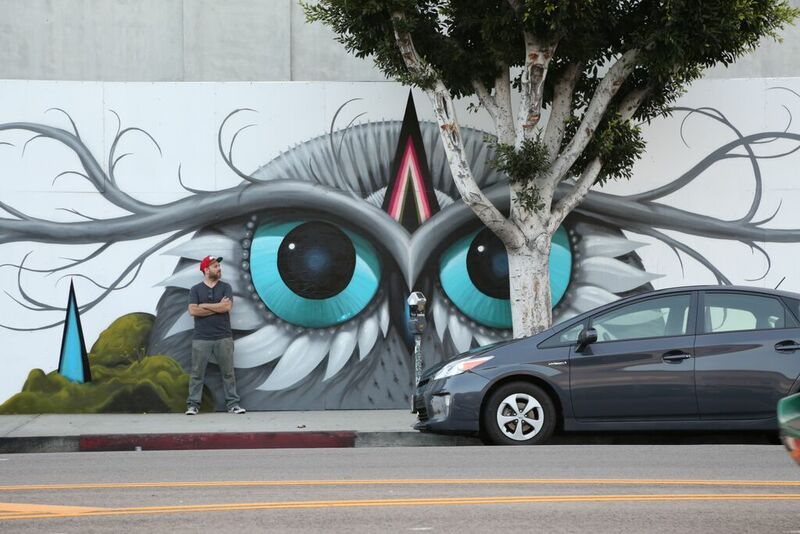 Multidisciplinary artist Jeff Soto recently painted a mural at La Brea and West 1st Street in Los Angeles. The wall just stones throw from the KP Projects / MKG where he’s showing new work this month.